Pokemon Go Adds 80 New Pokemon! Pokemon Go has added 80 new Pokemon! Niantic, Inc. and The Pokémon Company International announced today that 80 new Pokemon will begin to appear in Pokémon GO later this week. These include Pokemon originally discovered in the Johto region from the Pokemon Gold and Pokémon Silver video games, including Chikorita, Cyndaquil, and Totodile. 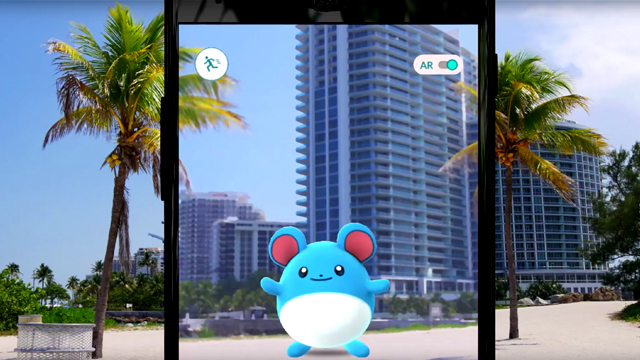 Trainers will encounter these Pokémon “in the wild” as they embark on adventures and explore their neighborhoods and cities. Check out a video that teases the new Pokemon additions in the player below! In addition to new Pokemon that will appear in the game for the first time, the latest update introduces new gameplay mechanics for Trainers to master, including new encounter gameplay, new Evolution items, two new Berries, and expanded outfit and accessory options for their Trainer avatars. With the latest Pokémon GO game update, new Pokémon evolution options will give players the ability to use new Evolution items to evolve their Pokémon into ones that were originally discovered in the Johto region. While catching Pokémon, Trainers can use two new Berries—the Nanab Berry, which slows a Pokémon’s movements, and the Pinap Berry, which doubles the amount of Candy received if the next catch attempt succeeds. Trainers will also be able to customize their avatar’s appearance with a new selection of hats, shirts, pants, and other items. Additional items will be available for purchase from the in-game Pokémon GO shop. Trainers can download Pokémon GO from the App Store for iOS devices and Google Play Store for Android. A version of Pokémon GO for Apple Watch is also available through the App Store. Nintendo’s Pokémon GO Plus device, which allows Trainers to catch Pokémon and collect items with the push of a button without looking at their screens, is being replenished at retail locations in support of this latest update, while supplies last. Which of the new Pokemon are you most determined to catch? Let us know in the comments below!